Story: A story about theft, both criminal and emotional, "Breaking and Entering" follows a disparate group of long-term Londoners and new arrivals whose lives intersect in the inner-city area of King's Cross. When a landscape architect's (Jude Law) state of the art offices in a seedy part of town are repeatedly burgled, his investigations launch him out of the safety of his familiar world. 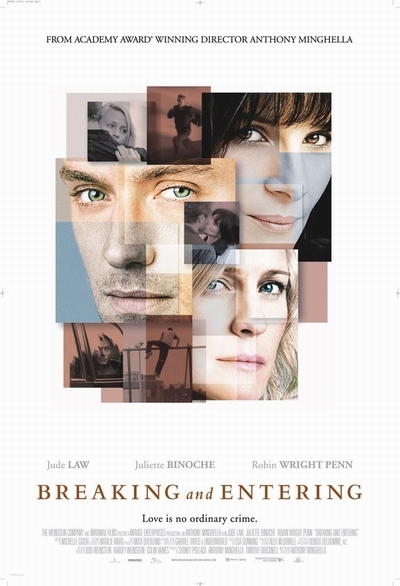 "Breaking and Entering" is Academy Award-winning director Anthony Minghella's first original screenplay since his 1991 feature debut, "Truly Madly Deeply."